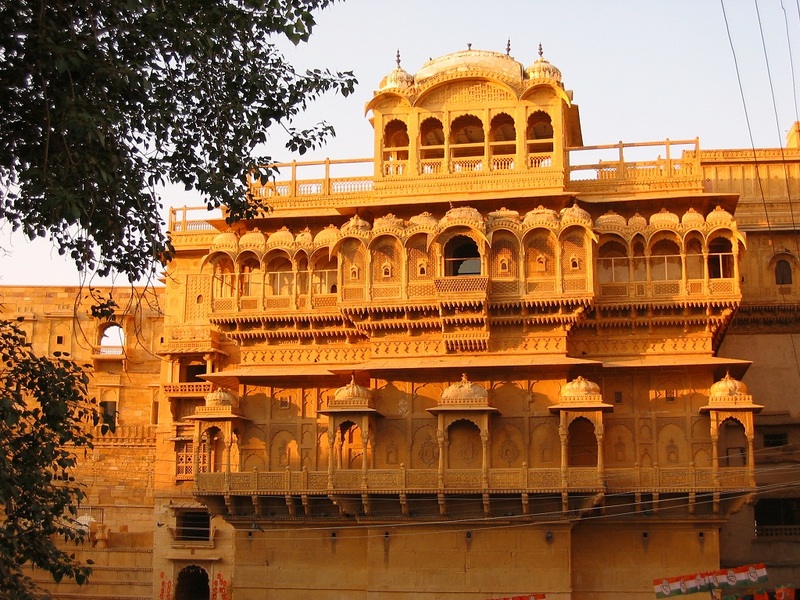 Patwon Ki Haveli: Patwon Ji ki Haveli is an interesting piece of Architecture and is the most important among the havelis in Jaisalmer. 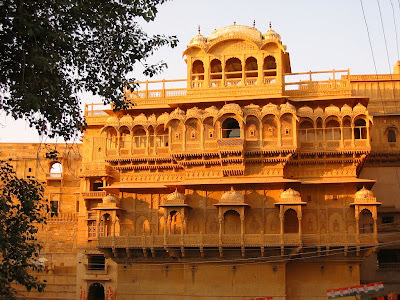 This is precisely because of two things, first that it was the first haveli erected in Jaisalmer and second, that it is not a single haveli but a cluster of 5 small havelis. The first among these havelis was commissioned and constructed in the year 1805 by Guman Chand Patwa and is the biggest and the most ostentatious. It is believed that Patwa was a rich man and was a renowned trader of his time. He could afford and thus ordered the construction of separate stories for each of his 5 sons. These were completed in the span of 50 years. All five houses were constructed in the first 60 years of the 19th century. The havelis are also known as the 'mansion of brocade merchants'. This name has been given probably because the family dealt in threads of gold and silver used in embroidering dresses. However, there are theories, which claim that these traders made considerable amount of money in Opium smuggling and Money-lending. This is the largest Haveli in Jaisalmer and stands in a narrow lane. This haveli is presently occupied by the government, which uses it for various purposes. The office of the Archeological Survey of India and State art and craft department is situated in the haveli itself.